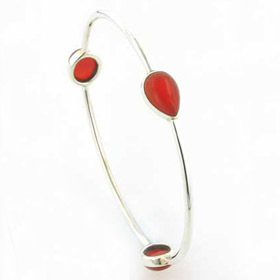 Red onyx and sterling silver hoop earrings. 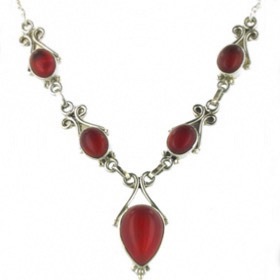 Stylish, elegant and a lovely twist on the plain hoop earring, these red onyx earrings are a joy to wear. 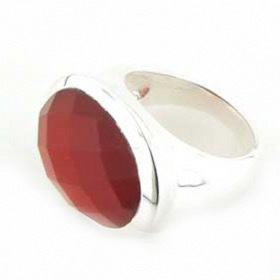 The sterling silver hoop is plain, beautifully curved and set with an oval red onyx gemstone. 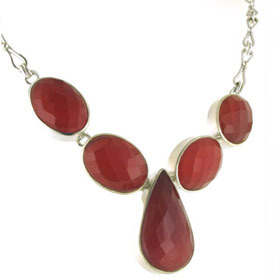 The red onyx is smooth and a wonderful shade of spicy red. The earrings fasten in the ear with a post and butterfly fastening. 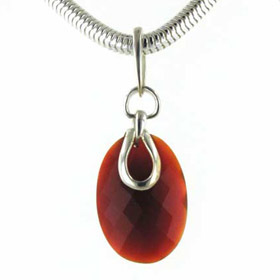 Check out our red onyx bracelets and red onyx pendants for a jewellery set.